The Wales fullback was due to return against Cardiff Blues, but is ‘still picking up the odd issue’. LEIGH HALFPENNY’S SIX Nations involvement appears in doubt after Scarlets coach Wayne Pivac confirmed he would visit a specialist due to his concussion issues. The fullback has not featured since November 10 when he took a blow to the head from Samu Kerevi in Wales’ victory over Australia in Cardiff. Halfpenny had been due to return against Cardiff Blues last weekend only to withdraw prior to kick-off and despite training with the Scarlets in the build-up to Saturday’s Pro14 clash against the Dragons, Pivac has confirmed he will not feature due to ongoing headaches. With Wales beginning the Six Nations against France on February 1, Halfpenny is now due to see a specialist to determine how much longer he can expect to be out for. “Leigh is still out,” Pivac said. “He was training at the start of the week and still picking up the odd issue there in terms of headaches. “He is seeing a specialist and that will hopefully give us an accurate timeframe for him in terms of coming back to play. We will know more next week, hopefully. There is better news elsewhere for Wales, with Halfpenny’s international team-mate Liam Williams set to make his return from a hamstring injury when Saracens face Sale Sharks in the Premiership on Friday. 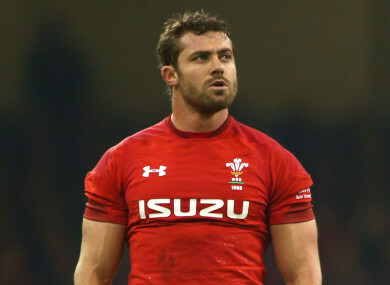 Email “Halfpenny to see specialist as headaches persist after November concussion”. Feedback on “Halfpenny to see specialist as headaches persist after November concussion”.